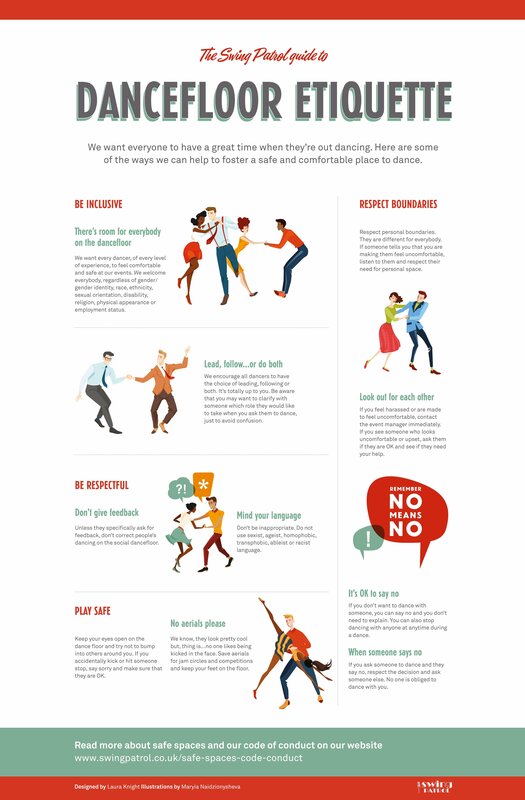 We commissioned Laura Knight to create an infographic on dance etiquette with some key messages that we feel are important for our community. Laura used these beautiful illustrations by Maryia Naidzionysheva to design this. Please feel free to have a read and share it everywhere and we hope it creates additional awareness of what is a really important topic. Should you wish to use this magnificent piece of art, please contact Laura through her website.